FamilyCircle and MasterChef are teaming up to bring you the MasterChef Experience Sweepstakes, a Family Circle Sweepstakes 2019. Enter online at FamilyCircle.com/Masterchef from February 7 through May 31, 2019. 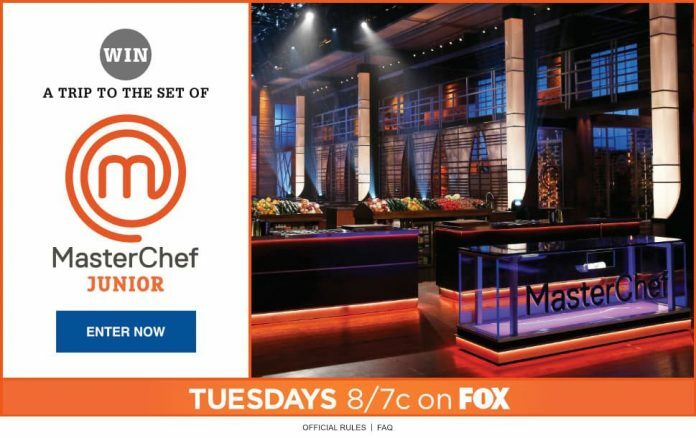 One lucky winner and a guest will receive travel and accommodations for two nights to Los Angeles, CA, a personalized tour of the MasterChef Junior or MasterChef Set, a meet-and-greet with a MasterChef Junior or MasterChef judge, and more. Commencing on February 7, participants can head to FamilyCircle.com/Masterchef and click the “Enter Now” button to get started. Next, you’ll be required to fill out a registration form by providing your contact information. Then click “Enter Now” to move forward and earn 1 sweepstakes entry for that day. Be sure to return and enter daily through May 31, 2019 for more chances to win the Family Circle MasterChef Experience Sweepstakes. In the July. 2018 Family Circle issues it says to use this same website to enter for a trip to LA, ending 10:15/18 not this Chef Junior contest ending May 31, 2018. Why has the Masterchefjunior sweepstakes closed when it was open from 2.7.19 – 5.31.19. Very confused on this advertisement – please explain. thanks. Is the Feb-May contest open or not?